Mischa is heavily involved in the Canberra dance scene, dancing herself for 19 years and teaching for the past six. She completed her Cert IV in performing arts at ED5 International in Sydney and is currently a senior teacher at Capital Dance Studios and Dazzle Dance Academy. In addition to dance Mischa also has experience with gymnastics, competing for 14 years and coaching for an additional eight. Mischa also knows what it’s like to be injured herself! Being an injury-prone gymnast and dancer throughout her teens, she developed specific interests in the prevention and maintenance of injuries – all roads which have led her to Clinic 88. The lower limbs inclusive of foot and ankle injuries are Mischas area of interest – there are no shortage of these in the dance community so do not fret… you are not alone! 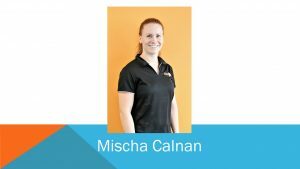 Mischa enjoys working with people of all ages and ability levels. Mischa is available at Macquarie and Deakin C88 locations.